The last thing any property owner wants is a messy sewage backup. That is why it is essential to have regular septic tank pumping done in Olympia, WA. Septic tank pumping is a necessity if you own a septic system. Your septic tank collects waste and disperses it into your drain field. If you neglect septic tank pumping, this waste will start to overflow into the drain field and cause damage to it. Since most septic tanks are designed to hold 3-5 years of waste, it is recommended that you have septic tank pumping done every three years. 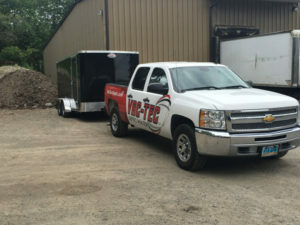 Are you looking for a prompt, efficient septic tank cleaning service in Olympia? Look no further than us. We have provided septic tank cleaning services to homes, business owners and municipal clients for years. We customize our septic tank cleaning service to suit the specific needs and type of your septic system. 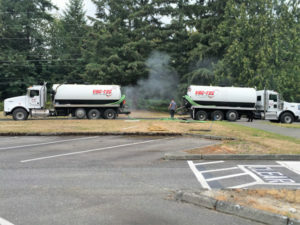 Why Should Olympia Residents Choose Us for Septic Pumping? 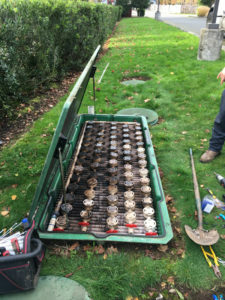 A great way to make sure that your tank is always in good working condition is to hire a professional septic pumping service. Those who ignore their septic pumping needs are putting the overall function of the entire septic system at risk. With regular septic tank pumping, you can prevent damage to your property, yard or drain field. Once these damages occur, the results can be very inconvenient and costly. We provide professional, affordable septic pumping services. With our septic pumping services, property owners in Olympia can save money and hassles in the long run. Our septic pumping services allow the system to be cleaned efficiently and quickly. Let us help you maintain your investment in your septic system. To learn more, or to schedule a septic tank cleaning service in Olympia, feel free to call VAC-TEC LLC at Tacoma – (253) 777-4887 Seattle – (206) 339-0039 Olympia – (360) 338-6686 North Dakota – (701) 566-0045 today.